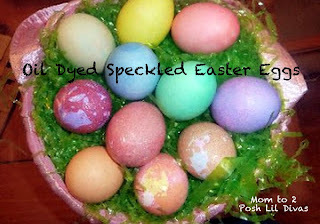 Google+ Mom to 2 Posh Lil Divas: A Little Bit of Oil, A Little Bit of Vinegar & A Whole Lot of COLOR! A Little Bit of Oil, A Little Bit of Vinegar & A Whole Lot of COLOR! 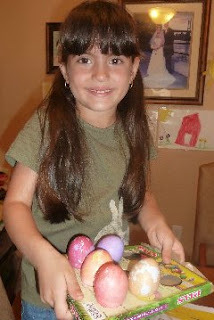 On Saturday, we finally got around to decorating our Easter Eggs! The Lil Divas have been begging & pestering to do it all week but it was a pretty crazy week and I just never felt up to it! Without any more time to put it off - I decided to bite the bullet & go for it and was glad that I did. 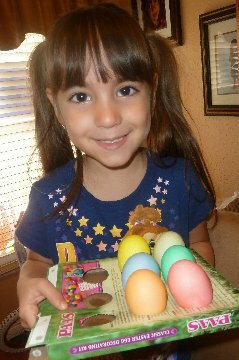 Though it didn't take us very long - we had a fun time and I enjoyed watching the Lil Divas bubbly enthusiasm over each new egg color! Then I decided to try something new - OIL! I put a little bit of oil into coloring & then dipped the egg into 1 color - gently wiped off some excess oil and then dipped into another color! 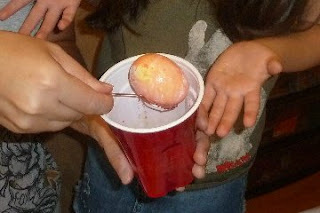 We even got fancy and dipped in 3 different colors at the Lil Divas request! I absolutely LOVED how the marbelized eggs came out! 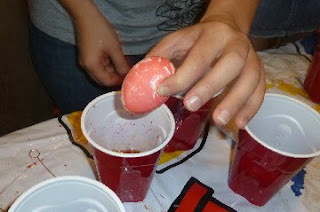 :) This will definitely be something we will do again. 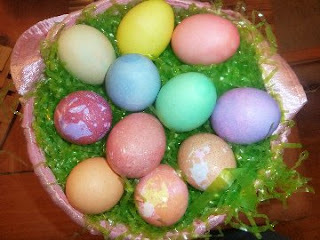 How did you decorate and/or color your eggs this year? I saw you post this on twitter and was looking forward to see what the eggs looked like! So cool! Those eggs look so lovely! Great job! And awesome photos of the day! You can tell that everyone had a good time! The marbling is wonderful. What a great idea. Thank you for linking up at NOBH. Have a blessed weekend.